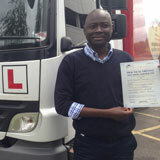 The GP training in Wandsworth London is a driving institute that has quality training programs designed in such a manner that it is perfectly tailored for all stature of people, whether he is a novice driver or an experienced one. The only criterion that we look for when people visit our school for the enrolment of the driving classes is to check out the willingness and the enthusiasm of the learner. We offer regular driver CPC training and many other quality training programs for the professional and also personal drivers. There are immense benefits of obtaining the training from the GP training school in Wandsworth London. The best thing about this center is that we have the best trainers in the business who are approved by the DSA and they are all specialist in multiple language training as well. Thus if you have been skeptical about learning to drive in London because your mother tongue is not English, now there is no reason for worrying or panicking since we offer trainers who are specialists in multiple languages and thus it would never be a barrier to your learning process. We offer complete guidance and also support for all those who enrolls with us so that all the trainees excel in the driving tests and pass out in flying colors. There are classroom studies available along with the theory books too that can be immensely helpful for you as a learning trainee. It is also worth mentioning that when you are driving a vehicle on the road, you have to abide by certain rules and regulations on driving for the overall safety and security of the people on the road and also for yourself as a driver. 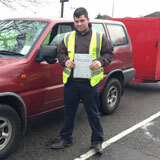 One factor that can be put to use is the age of the trainee as it decides on the kind of vehicle that you can drive. It is also extremely necessary to drive such a vehicle that is safe and legal on the roads too. The driving trainers at the GP training are extremely knowledgeable and have the requisite expertise to teach you the basics and also the fine skills of driving on the various roads of London. 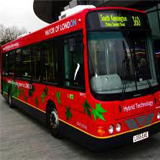 The vehicles that are used at the GP training in Wandsworth, London are also well equipped with dual access controls so that there is absolutely no chance of any kind of accidents on the road while driving. The LGV and the HGV training: While the LGV training is for those drivers that deal with the large goods vehicle, the HGV training is for those professionals who drive the heavy goods vehicle. The large vehicles are used for carrying large and heavy goods. There are several other choices in this category of training like the C, C1, C+E and C1+E, B+E car and trailer training etc. You can choose the type of training depending on the type of vehicle that you drive. Of course you also have to keep in mind the various specifications of the weight that vary according to the category. 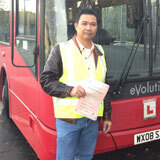 The PCV training: The PCV training is for those drivers that drive the passenger carrying vehicles. 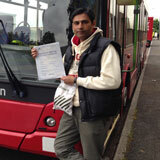 This training can also be categorized further into the D, D1,D+E, and D1+E, D1-Minibus and D automatic bus. The last two training categories are for manually driving the vehicles. 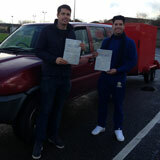 Driver CPC training: There is also a new requirement for the professional drivers and that is the driver CPC training. 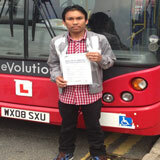 Any professional driver must also furnish the CPC along with the PCV and LGV training. CPC stands for the certification of professional competence. There are a few tests that you have to undergo for obtaining the CPC training. The CPC theory tests come with various theory tests and also the practical tests. There are also the CPC case studies that are helpful for understanding the knowledge of the beginner driver about the different aspects of driving and the rules of traffic. There are certain forms filling aspects that must also be completed before acquiring the driving license. For instance, there are the forms for medical issues and also the provisional entitlement. 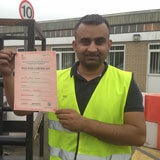 All these are taken care of by the GP training institute and sent over to DVLA. We also specialize with the driver CPC modules that are mainly designed for the new drivers for the enhancement of the various capabilities of driving. You can also take the services of the Pass protection and the PVC pass protection at the institute. These services are such that you will be able to reappear for the driving tests in case you fail to clear the test in the first attempt. There are many other offers in the programs, to know more, get in touch with the GP training at wands worth, London.